Hey boys and girls, Red Squirrel here and just wanted to begin by addressing a question that I get asked a lot. 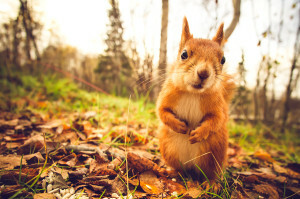 Many people who come to my site and ask…Why is your name Red Squirrel… Well, my name is not exactly Red Squirrel but its just my nickname and I rather not use my real name for security reasons and I thought Red Squirrel was pretty darn catchy! Anyways, today I wanted to share with you my day out on the job. I was at the Lone Star Park today out in Plano and wanted to see about setting some traps out for a particular bird that I was monitoring. I had put a tracking device on this bird, in order to observe some patterns of habitat and geographical location preferences. I do this once in a awhile for research purposes. Well, I had been having the hardest time tracking down this bird and today was my lucky day because it came back to the area where I had originally released it. It seems as it had built a nest in a tree nearby the park! 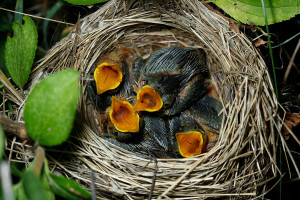 I went by the tree and suddenly I started hearing this chirping and sure enough the mama was there with her baby birds! I looked up and saw that my only option today was climbing that dang tree and I’m not exactly a lumberjack. I started climbing and holding on to dear life every inch of the way. I finally got to the birds and reached out to grab them and realized that my new phone that I just got had fallen 20 ft and made a large crashing sound! I’m not going to lie, I was pretty pissed and I have not exactly had very much luck in the past when it comes to phones! Well, I at least didn’t drop the birds and brought them down to safe ground. I took the tracking device off the momma and made sure her and the little ones were safe and then drove off to find a place to fix my phone. I finally found one and went in to see if they could save my poor phone. I started chatting with the young lady and found out that she actually loves animals too! I actually brought her out to the truck and showed her the little baby birds and she was thrilled to see them. I certainly didn’t expect this but she was nice enough to give me a huge discount for a new iphone screen and replaced it for free! She told me it was because I was doing such a noble thing taking in those baby birds and the momma! I guess it pays to be a animal fanatic and be sure to give these cell phone repair folks a holler and tell them Red Squirrel sent you! Welcome everyone to Red Squirrel website! This is a site full of my everyday adventures as a wildlife rescue activist! My goal is to educate anyone and everyone of what we can do as a society to protect all of God’s creatures. My other objective is to also give you a little more insight about my own life and the things that brought me here.